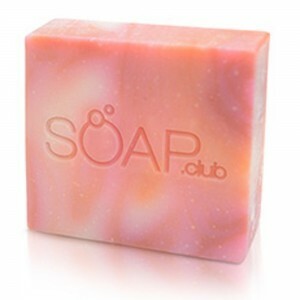 100%Natural Homemade Artisan Soap from the Soap.Club is a Must-Have! You are here: Home / Beauty and Fashion / 100%Natural Homemade Artisan Soap from the Soap.Club is a Must-Have! Looking for a soap that you can use both on your body and your face? I absolutely love this soap by the soap.club! I love that it is Olive Oil based and that it really does leave my skin feeling softer. My skin has been feeling really dry since the Winter and this soap is really helping with my dry skin. It really lathers up and feels like I am putting lotion on my skin. I also like that there are no artificial colors or unnecessary chemicals added. The soap has a very nice smell and does not smell like perfume. I like that it is also good to use on my face. I still have wrinkles so they haven’t quite disappeared but my face feels softer and I am really impressed that my dryness seems so much less. It is very moisturizing and gentle on my skin. I like that this company also offers a wide variety of different soap scents and am looking forward to trying other soaps in the future. Self Disclosure: I did receive this soap for free in exchange for an unbiased review.